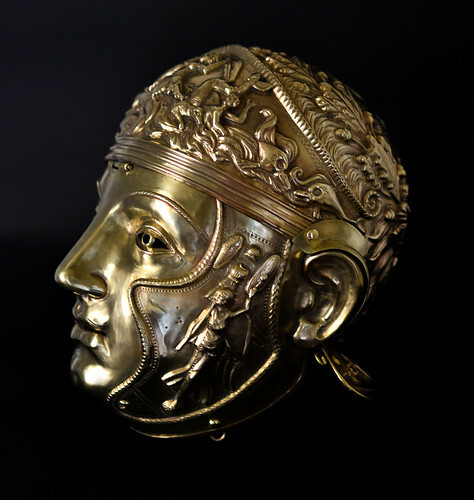 My latest completion is a Roman cavalry helmet based on a find from Vize, Turkey. 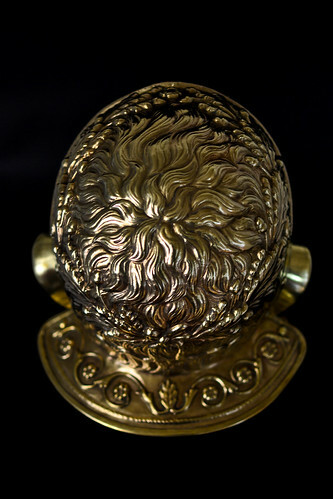 It is raised from brass sheet and decorated by repoussé over pitch. 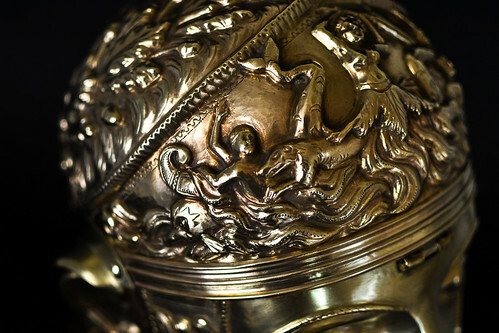 Depictions include Victoria with martial trophies on the cheek pieces, a brow frieze showing the sinking of a ship by the sea-monster Scylla, a crown of oak leaves and acorns in the hair, and some acanthus decoration on the neck guard. 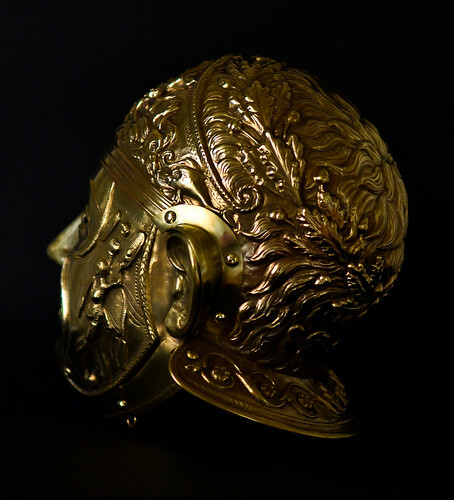 The helmet will be further decorated with gilding and silvering at a later date. I have posted more photos of the helmet, including some progress shots, on my FB page. That is quite possibly the most extraordinary piece of modern craft I have ever seen. Truly magnificent Jeff, I take my hat/helmet off to you. Amazing! Now, about my full Negroli parade harness... lots of dolphins and sea serpents please! Outrageous! That is soooooo damn good it hurts. Just great! One question though, will it be worn? I would imagine it wouldn't fit everyone, does the person have to send facial measurements for something like this? The original must have been sitting very close to the face or you would have had absolutely horrible vision through the eyes (and hard time getting air through the nose)? So as Tim hinted at face specifications must be incredibly precise. I also wonder how you avoided overheating your brain in that thing?! But you could certainly look imposing, almost "godlike" on the battlefield. Just unique - I'm speechless. Oh my. That is glorious. I look forward to seeing it in its final gilt and silvered glory. That is a true masterpiece. your work is incredible.